Compact and reliable supply of fresh water. 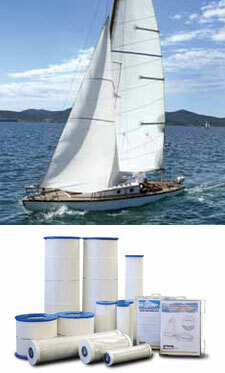 For sailboats and other marine applications. The Little Wonder (LW) and Sea Quencher (SQ) Series Reverse Osmosis Desalination Systems are the preferred choice for boaters who require small low power watermakers. The units are simple to install and easy to operate. Ideal for applications where space and power are limited. The quality components that go into the LW and SQ units ensure safety and years of reliable service. The No Frills Series offers all the best of Village Marine engineered components while operating independently of any electrical connections or requirements. Driven by AC or engine power, the modular confi guration comes with Aqua Pro membranes and titanium pump and fi ttings. Integral to the No Frills Series are a stainless steel pressure regulator and connectors. The Racor Village Marine line of pleated filters are designed for the reverse osmosis industry and are superior to spiral wound or polyspun cartridges to give you a longer filter life as well as increasing flow rates and keeping cartridge size down. Racor Village Marine thin film composite reverse osmosis membranes deliver high salt rejection while maintaining high production rates to obtain the fresh water production needed by customers. By selecting the highest grade of materials and thoroughly testing performance, Racor is able to offer high quality pleated filters and reverse osmosis membrane products for all watermaker brands. 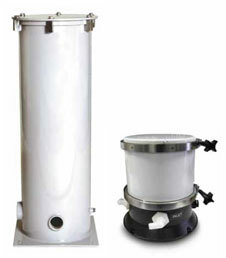 Users of competitive watermakers may have difficulty locating a source for replacement filters and membranes. Users may have been supplied with inferior spiral wound or polyspun cartridges and can upgrade to Racor. Racor Village Marine can provide you with the highest quality replacements parts for almost any make or model watermaker unit. 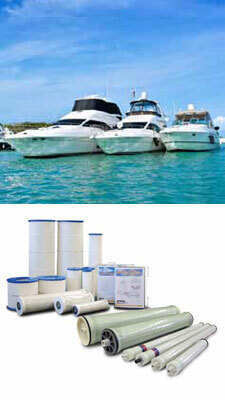 Enjoy peace of mind by using genuine Parker Racor filters and membranes in your watermaker. The Squirt Series offers fresh water independance for ocean crossings, extended fishing trips or cruising where dock supplies are unreliable. The Squirt packages a full feature watermaker in a compact frame. Simple connections allow straight forward installation. The watermaker can be operated and monitored from the electronic remote control. The Stowaway Series offers fresh water independence for ocean crossings, extended fishing trips or cruising where dock supplies are unreliable. The Stowaway features a semi modular frame format, which maximizes installation flexibility. 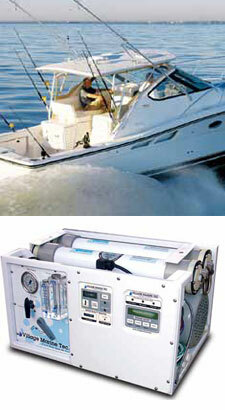 The frame is compact and can be above or below water line. 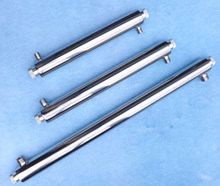 The boost pump and prefilters are supplied as loose items. The watermaker can be operated and monitored from the electronic remote control. 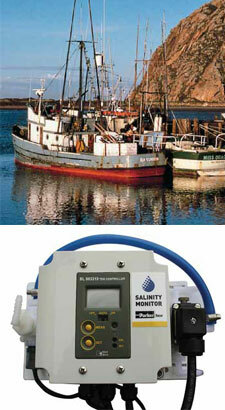 Racor Village Marine stand alone Salinity monitor system can be fitted to models Sea Quencher or Little Wonder watermakers or to any make 12 Volt DC model. The compact assembly provides water quality reading and an automatic diversion valve to ensure that only fresh water flows to the potable water storage tank. The LT desalinator offers fresh water independence for ocean crossings, extended voyages or cruising where dock water supplies are unreliable. The units feature a semi modular frame format, for installation flexibility. The frame is compact and can be above or below the water line. 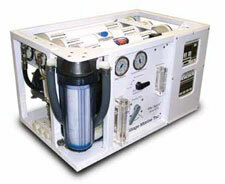 The boost pump and prefilters are supplied as loose items. 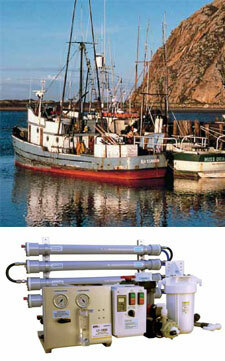 Racor Village Marine offers stainless steel (SS316) filter housings specifically designed for seawater use. Simple but secure closure systems allow quick cartridge change. Powder coated shells offer superior corrosion resistance. Fasteners and clamps are stainless steel. The Village Marine Tec. line of pleated filters are designed specifically for the RO watermaker industry and are superior to wound or polyspun cartridges to give you a longer filter life as well as increasing flow rates and keeping cartridge size down. Available in a wide arrange of sizes and micron ranges to ensure that every type of watermaker filter need is taken care of. Stock sizes fit most standard filter housings, if the size you need is not shown please contact us with the dimensions required. Single use Cleaning and Preservative Cartridge Kits are designed specifically for small RO Systems. The Cartridges allow for easy and effective membrane maintenance. The Cleaning and Preservative Cartridge Kits eliminate the trouble and mess of measuring powdered chemicals and ensuring correct chemical concentrations. The Chemical cartridges fit directly into 2.5” x 10” housings and contain the correct amount of chemical for a single use.